Women? Cricket? Hell yes. There was a time when the same question was raised about tennis too. While the game was invented before the 1800s, it took close to a century to include women in it. It has been a popular assumption that women (read female players) do not get attention from the media. The famous movie, Chak De India had a dialogue that stated that the sponsorship for the women’s hockey team was taken and given to men. The preconceived notion is that women’s sports are not worth the media coverage simply because it is a slower game, and hence less exciting. This was then. Now the times are slowly changing. We have women participating in many sports. You name it, they are in it. Wrestling. Golf. Basketball. Soccer. And yes. Cricket. Indian women have excelled in the field of sports in a sensational way. They made history recently at Rio, 2016. That is no mean feat. 21-year-old PV Sindhu became the first Indian Woman to win a silver medal at the Olympic Games. She fought like a tigress all through the tournament up until the last point. Another record was made when female wrestler Sakshi Malik picked up the bronze. First female wrestler and fourth Indian to do so. In the same event, Dipa Karmakar showed what she was made of as well. She might not have brought home a medal but she sure won all our hearts. This is just Olympics. There are other women who have made our nation incredibly proud. Long distance runners Lalita Babar. Teenage golfer Aditi Ashok. Squash player Deepika Pallikal. Chess Player (woman Grandmaster 2005) Tania Sachdev. Captain of Women In Blue, Mithali Raj. My point is that sports in India is changing. Women are changing it. From PT Usha to Nilima Ghose. Leela Row to Sania Mirza. Sania Mirza gave the perfect reply not just to TV Journalist Rajdeep Sardesai but to anyone who believed that a woman’s place is in the kitchen, barefoot and pregnant. She said that her not picking motherhood over career did not make her any less of a woman. Times are changing. Time to accept it. 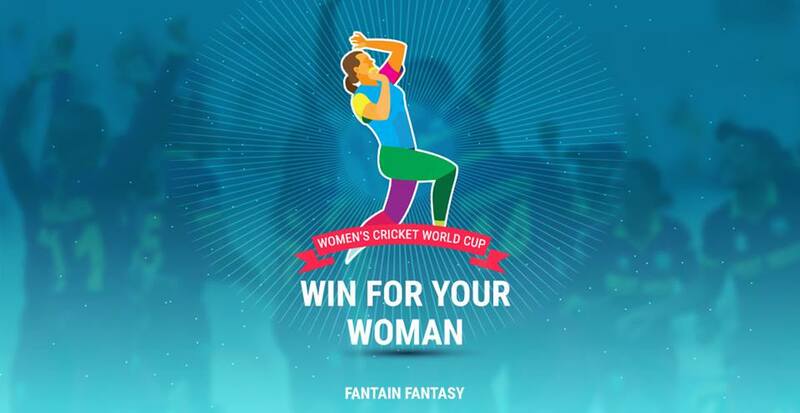 We, at Fantain, are beginning to recognize the rapid increase in the visibility of Women’s cricket. They have gained in numbers in the recent times, Of course, the gender gap still remains. That will take a while to come even close. But having said that, women’s cricket is gaining momentum as it rightly should. A look in the past will say that there are many signs stating that women’s popularity in the game is improving. When India hosted the men’s and the woman’s world Championships 20-20 cricket simultaneously, the men were flown in business class, and women, economy. Blatant discrimination by the ICC themselves. Next year though, all players were flown in business class. Now, we have the women’s cricket world cup coming up in England. Having a separate event for the women just goes to show that the event will be a success on its own, without external support. The women’s world cup will thrive and be a success. We have the game on our app as well. A win for your woman. That’s our slogan. Go ahead. Sign up with your lineup and see what’s in store for you. We will give you all the additional data that you can look up to make good choices. Win for your woman !!!! !